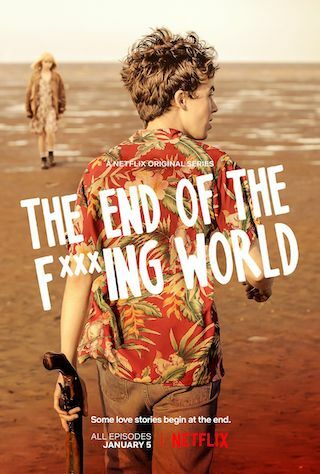 The End of the F***ing World is a British 25 minute scripted horror television series, which kicked off on October 24, 2017, on Channel 4 and is broadcast every Tuesday at 22:20. The show is currently in its 1st season. Channel 4 has officially confirmed the renewal of The End of the F***ing World for Season 2. The exact release date is yet to be announced so far. Sign up to track it down. Based on the award-winning series of comic books by Charles Forsman, The End of the F***ing World invites viewers into the dark and confusing lives of teen outsiders James and Alyssa as they embark on a road trip to find Alyssa's father, who left home when she was a child.